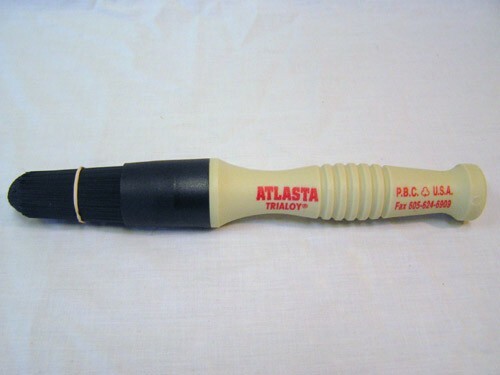 Stiff nylon bristles gear parts brush. 1-3/8” Dia. Poly handle with solvent resistant, stiff nylon bristles for tough, hard to reach areas when detailing aircraft gear assembly.